Hi my lovelies, I'm going to keep todays post short and sweet! Every year around this time, I find my new perfect autumnal colour nail polish. 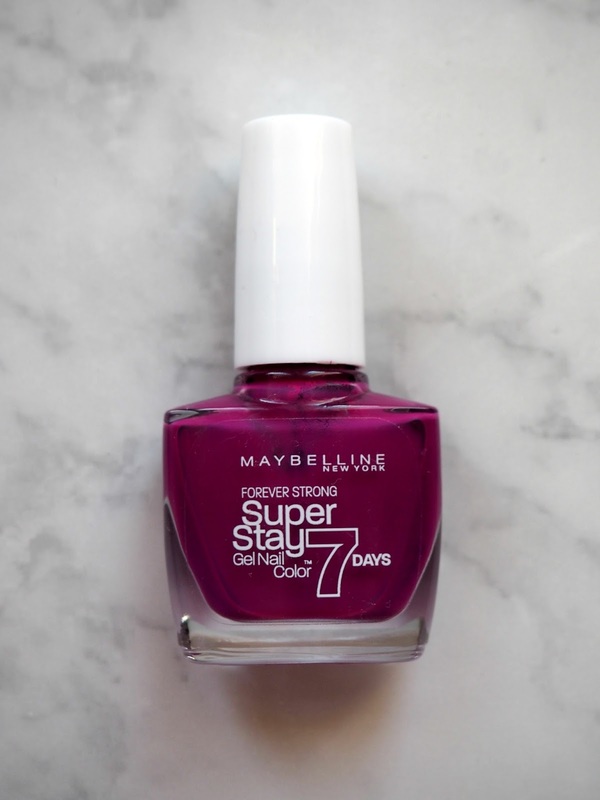 I've actually owned the Maybelline Superstay nail varnish in 'Berry Stain' for quite a few months but I finally decided to get it out and use it about 3 weeks ago, and since then I've been obsessed! To me, it's the perfect halloween purple! I've always been a big fan of the Maybelline Superstay formula as it's easy to apply and long lasting, and this one is no exception. 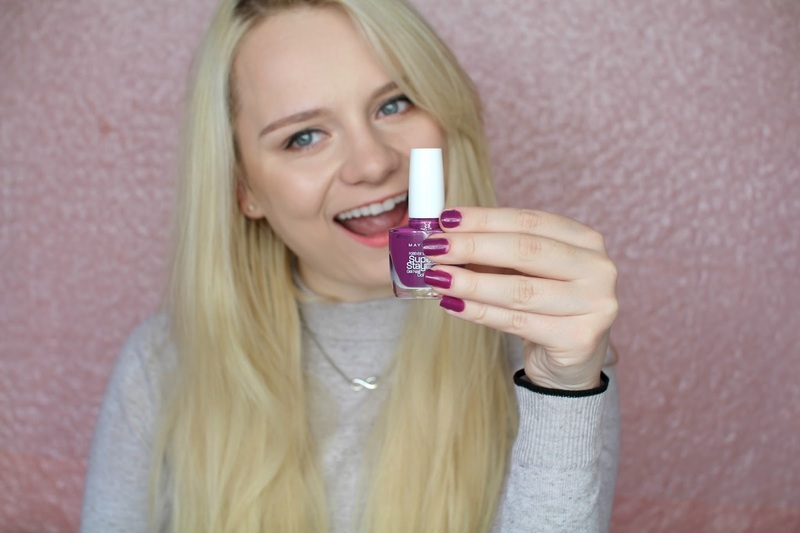 Although the colour is gorgeous, what I really love about this nail polish is how glossy the finish is - it makes your nails look healthy which is really nice if you suffer with flaky nails like me! Let me know what your favourite autumnal nail polish is! I love the color. It looks so pretty. I always love finding new polishes to try. Thanks for sharing!